I was unaware for years of this early work of Jane Austen’s, only hearing of its existence a few years ago. 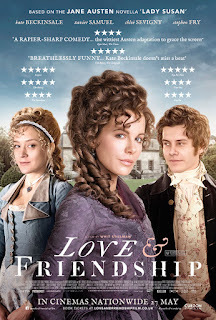 I was prompted to read it by a recent film adaptation, ‘Love and Friendship’. I always like to read the book before watching the film if possible so that I know the real story. 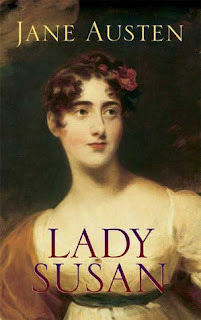 'Lady Susan' is an early work of Jane Austen that wasn’t published until years after her death. 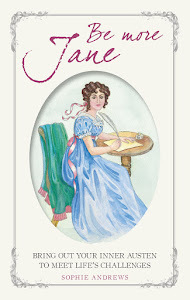 Obviously, not having been intended by Austen for publication, it is far more unpolished than her other books but I was surprised by it, as it seems a little racy for a young, unmarried woman to have written. 'Lady Susan' is written in epilso epistle epistolary format (in a series of letters) – though there are limitations to this format and we don’t see to get Austen’s famous narrative wit, one benefit is that we get to see characters true thoughts (or what they profess to be their thoughts at least). Lady Susan is wonderfully frank in her letters. She is an incredibly selfish character – a fairly recent widow, she is low on funds and has a 16 year old daughter to worry about disposing of. She may not have money, but what she has in abundance is physical attractiveness, charm and a quick mind. She is completely lacking in compassion or affection, even for her daughter, who is a sad disappointment to her, as she is refusing to be married off to a stupid, rich, baronet. Lady Susan has made herself unpopular with the acquaintance that she was staying with by carrying on some sort of intimacy with that lady’s husband, so she is in need of a retrench; she suddenly recalls that her former brother in law and his family should be visited by her and wangles herself an invitation to stay. Lady Susan fools her brother in law as to her true nature but her sister in law is just about the only person faced with Lady Susan’s charms and is completely immune to them – it helps that Lady Susan unsuccessfully tried to prevent her brother in law’s marriage! Even people who are warned about Lady Susan’s true character end up being brought round to her way of thinking. Will she succeed in trapping herself a husband unsuspecting of her selfish and manipulative nature and force her daughter into marrying a fool? Lady Susan is without doubt one of the most unlikeable characters ever – her selfishness and lack of compassion are really something to behold, though you cannot help appreciating how cleverly the fools and manipulates people. She really is horrible, but also quite amusing and she gets nearly all the best lines! I truly pitied Lady Susan’s daughter, as despite being frightened of her mother, she is making real attempts to save herself from an unhappy future, and given her mother’s habit of succeeding in manipulation, you wonder if she will be able to have any say in her future. I have heard people talk of Mary Crawford of Mansfield Park as being a potential future Lady Susan, and I could see why they thought this. While I don’t mind Mary Crawford, she is quite cold, though to be fair, Miss Crawford has the saving grace of genuinely caring for Edmund Bertram and I don’t think Lady Susan is capable of loving anybody but herself. The story is wound up really quickly, as if Austen had tired of the story and just wanted to tie up loose ends and start something else. Thankfully she provided us with the endings for all of the characters. On the one hand, this is a shame, but on the other hand, the next work she wrote was the early draft of ‘Sense and Sensibility’, so we can’t repine too much! A 4½ star read for me. Though the film is called ‘Love and Friendship’ this is not the film adaptation of Austen’s juvenilia work ‘Love and Freindship’ but instead it’s an adaptation of ‘Lady Susan’. We see things from her perspective mostly and since the story is epistolary this makes for quite a lot of tête-à-tête conversations and changes in scenery. I have heard complaints that the film is choppy and to be fair, it is, a little, but I watched the film the same day as reading ‘Lady Susan’ so I didn’t really notice this aspect because it was just following the letter format. The film is in general very faithful to the book. Lady Susan is perhaps less of a monster in the film as you don’t quite get the full coldness of heart. Kate Beckinsale is very well cast; she’s around the right age, beautiful and charming. Star of the show is Sir James Martin (played by Tom Bennett), the very stupid baronet that Lady Susan is trying to persuade her daughter to marry. Lady Susan has the best lines, aside from Sir James’ cringeworthy utterances. I was told the end of the film differed from the book and it does, but it’s only a very slight tweak which I didn’t mind. I thoroughly enjoyed this adaptation; I thought it was extremely funny, and will be buying it when it comes out on blu-ray so that I can enjoy it again! A 5 star watch. It wasn't until this year that I got around to reading Lady Susan, too! I quite enjoyed it! Lady Susan is definitely a character! Lol! First, I was horrified of her treatment of her daughter, then I was amazed at the way she charms everyone around her! And I don't think her daughter is as stupid as Lady Susan thinks she is! She certainly seemed to avoid some of Lady Susan's plans! Ha! I haven't seen the movie yet, but I hope too! :) Glad to hear you liked it! I really enjoyed the film, it's one I will certainly get on DVD. I hope you enjoy it when you watch it, Candy! 4.5* Ceri? Great review! I'm so glad you enjoyed the book. Saw the film and must admit that I really liked it. I agree with you,Kate B was fantastic! Hope you're enjoying the Summer with your kids,you mentioned that they were on holidays in late July,if memory serves. If they're anything like you,they probably are avid readers,so perhaps they are easy to entertain. The book is very good... surprising, though, as it seems quite racy writing for an unmarried woman, and a young one at that! Great review! I read the book many years ago and saw the film as soon as I could. I loved the film! I was really pleased to see the cinema in Cambridge really full and everyone enjoying it and laughing out loud. I too thought that Kate Beckinsale was magnificent in the role but probably won over the viewing audience more than she does the reading audience! I can't wait to get it on DVD! LOL, I trip over describing the epistolary format, too. I read Lady Susan a while ago and didn't appreciate it like I did for the re-read this year so I could be ready for the film. I finally got to see the film and I agree that it is a good and faithful adaption and the casting for Susan and Sir James is great. I have both read this book and seen the movie. It is one time I can say that I thought the movie was better than the book. Hi Sheila! 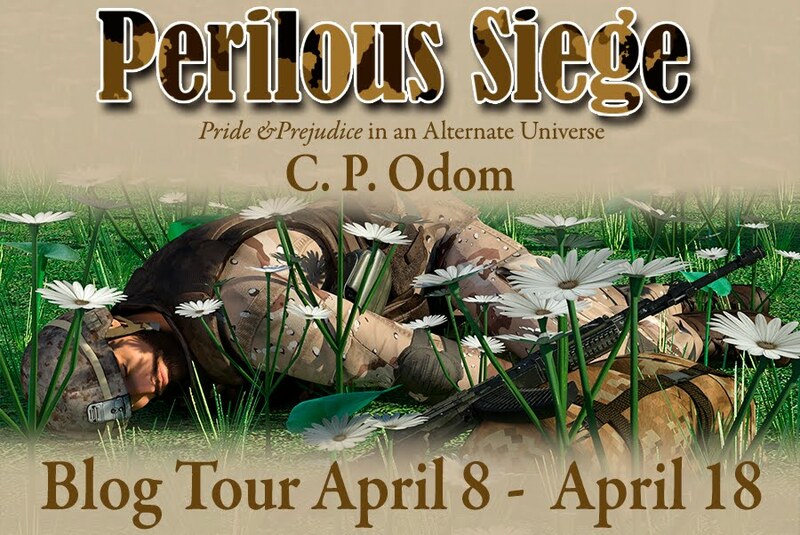 I think the movie certainly ends better, the ending of the book was so rushed, it really felt like Austen got fed up and moved onto another project. I am just thankful that she ended the story, so we know what she intended. I so enjoyed the film. I think that Lady Susan is slightly more likeable in the film though, as in the book you get the sense of her ruthless attitude towards her daughter a little more fully. I read Lady Susan long ago. Unfortunately, I wasn't able to catch the movie--the theaters showing it weren't close enough to me. That is so disappointing :( I was afraid that this would be the case for me too, Denise, but I kept checking the listings and when it came into the cinema I booked straight away. I don't think it was there long but I was determined to see it. I'm going to buy it on DVD so that I can enjoy it again too. I hope you enjoy the film when you finally get to see it. I completely agree with both your book review and your movie review. The only thing I'd add is that I found it fascinating that all of Jane Austen's male characters (with the exception of Mr. Johnson) are dolts who don't see through Lady Susan, while all the female characters come across as smarter and do recognize how manipulative she is! That is true, isn't it, Debbie, that the females tend to have a clearer picture of Lady Susan. In Austen's other books, females are just as likely to be fooled by manipulative characters. Some of the men Lady Susan fools I think we could all fool, but Mr DeCourcy isn't stupid by any means, and he knows what she is, yet she wins him over in record time despite her failure to win over his sister. Just catching up on my backlog of blog emails and saw this one from you Ceri. I re-read Lady Susan for the first time in many years for Sophia's Group Read earlier this year. I actually enjoy the epistolary form and seeing how the writers are thinking. Like Denise, I wasn't lucky enough to see the film in the cinema but I have the Blu-ray on pre-order. Maybe I'll even get hubby to watch it withh me. HHe actually enjoyed P&P&Z and while I know this is nothing like that, maybe Kate Beckinsale will be able to persuade him! Have to report a fail on that one Ceri! Haven't succeeded in getting him to watch it yet.